Marker bars can by laid out horizontally or vertically depending on the needs of the application and on the reading direction of the locale. Shot 1 A vertical marker bar. Shot 2 A horizontal marker bar. 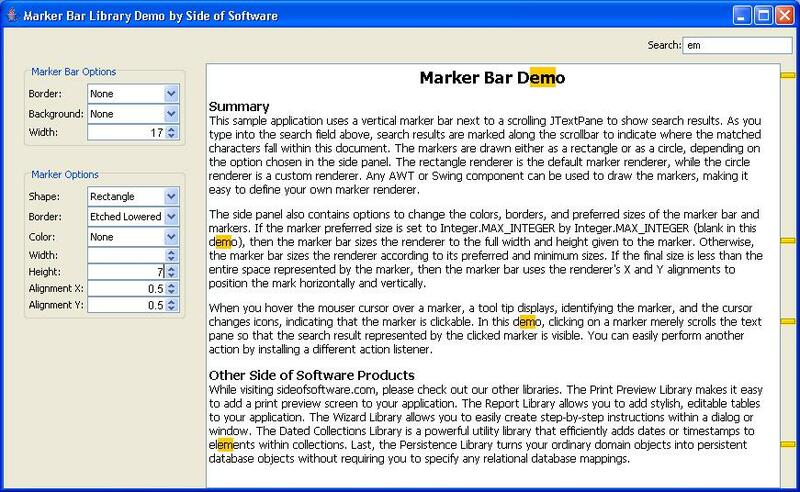 Markers can be individually customized, so a marker bar may contain different colored markers. Shot 1 Two marker bars with different colored markers to indicate document differences. Shot 1 Markers drawn as circles. Each marker can have a fully customizable tooltip. You can assign actions to markers. 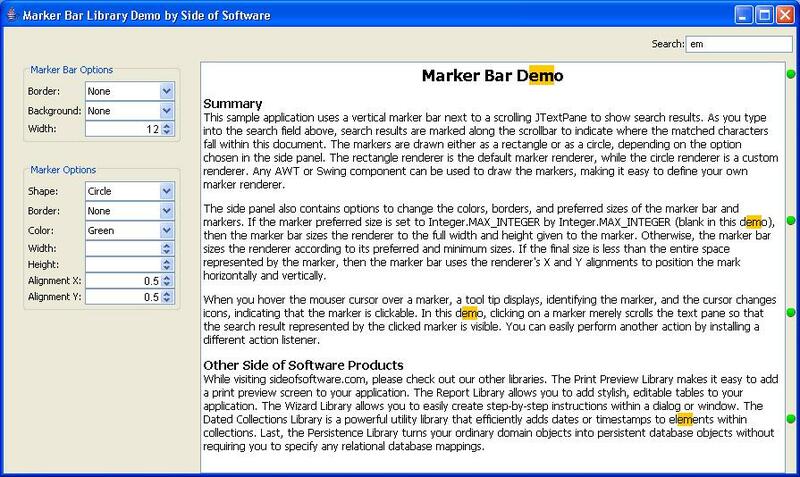 A common practice is to jump to the designated location upon clicking a marker. 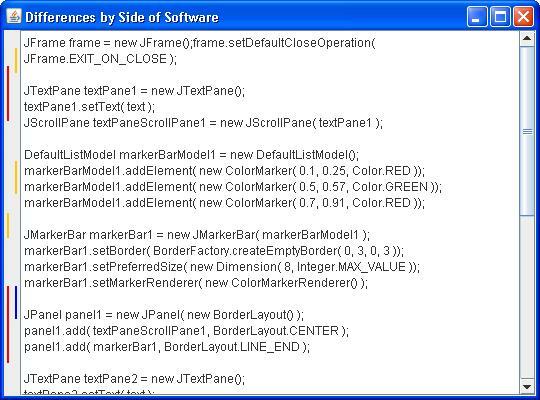 A handful of utility methods make it easy to integrate with JTextPane, JTextArea, JTable, and JList. The library runs on any platform with Java 1.5 or greater.